Why should you have new window and door installations you ask? There are many reasons to do this home remodeling project. Because of the rising cost of energy or, because your current windows and doors are just old and outdated, and you want a new modern look. Whatever the reason, new windows and doors are an important investment. Doing this home remodeling project you they will surely add value and great looks to your home. The main reason most people decide to do this home repair and remodeling project and upgrade their home’s windows and doors is performance. People often replace doors and windows that are old and ill-fitting, and don’t work as well as they should. Old and Ill-fitting windows can cause drafts and can make a home harder to keep cool in the summer and warm in the winter. Windows and doors that don’t open or close properly can also be a safety issue. Newer windows can also help to insulate your home from outside noise, and they would be ideal for you if you live near a busy freeway, airport, or a heavy construction area. Some people get this home remodeling project done just to make their home quieter. New windows and doors can really change the appearance of your home. Many newer windows tilt in, making them easy to clean, inside and out. Vinyl windows are another good option, they are low maintenance and never need painting. If you are home remodeling, or preparing to sell it, replacing the windows and doors is a great way to make your home look better, and add value at the same time. New windows improve the energy efficiency of the home, making it more appealing to potential buyers. More and more local electricity companies offer discounts to customers who take certain steps to make their homes more energy-efficient. Check with your utility company to see if they offer any rebates for home remodeling that upgrade your windows. Not only can a new window and door installation completely change the look of your home, it can also add value, security, comfort and can be an energy-efficient means to saving money throughout the year. Installed properly, high quality windows and doors will pay for themselves over time. 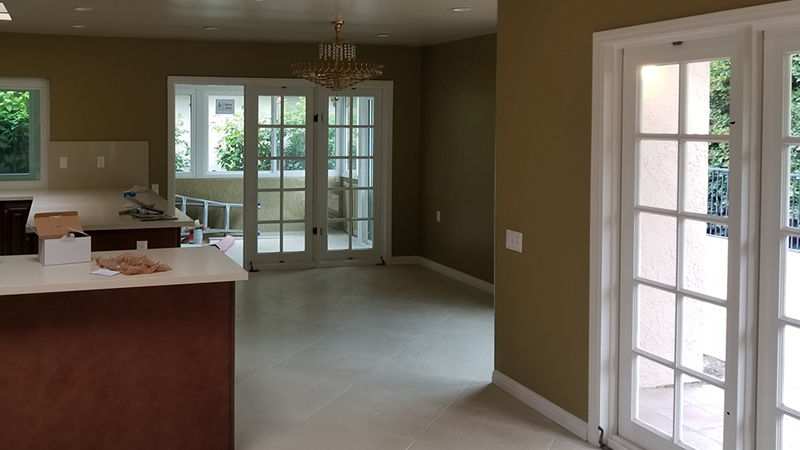 Here at Remodeling R Us we can handle this general remodeling project and install energy saving windows and doors to perfection, saving you money in the long run. Give us a call today to see how we can make your home more efficient.